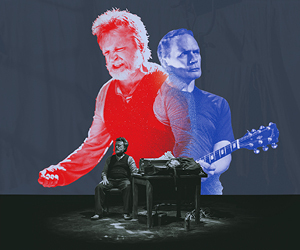 New Zealand’s own master storyteller, Michael Hurst, is joined on stage by rock maestro Shayne P Carter (Straitjacket Fits, Dimmer) playing an instinctive, original soundscape, in real-time, live on stage. Riffing off each other, the two create a brilliant and thrilling reimagining of one of the greatest stories ever told. This is a theatre show with live soundscape created live on stage.